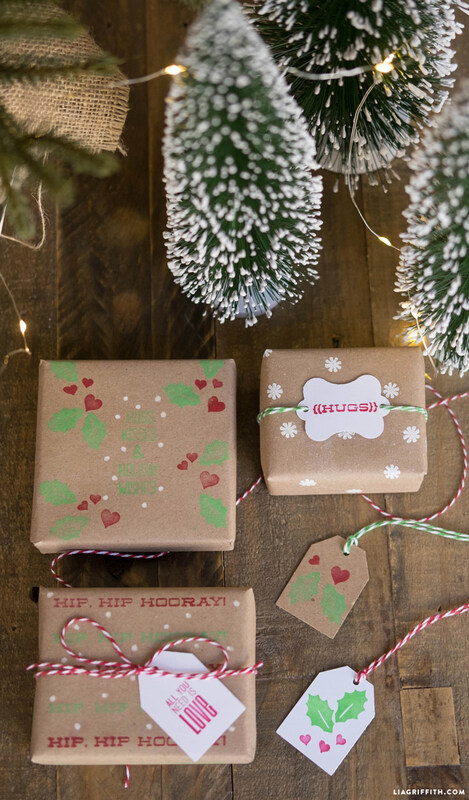 The holidays are a great time for handcrafting, and no matter what gifts you are giving, it is so easy for the kids to add a personal touch to your wrapping. 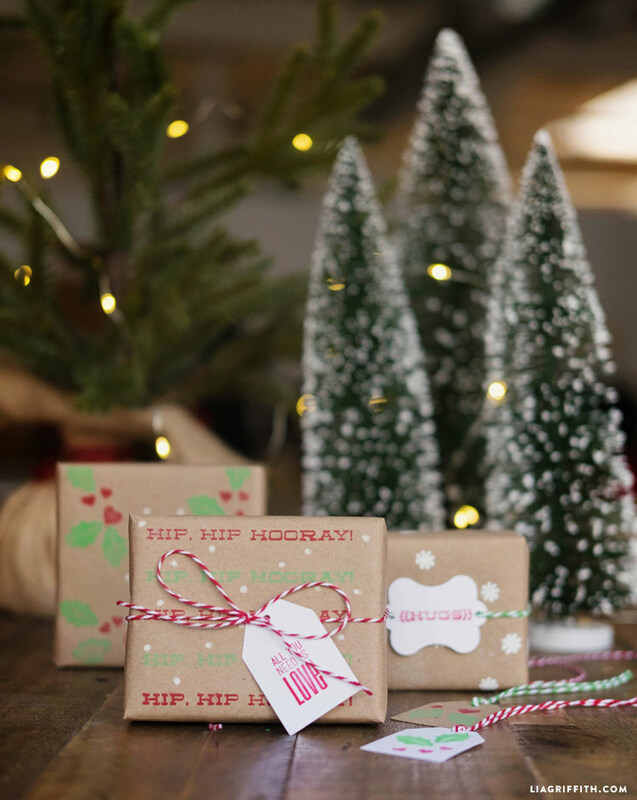 For this project we specifically wanted to make kid’s wrapping paper – something that is easy for the little ones to tackle while having a great time making. This project is also safe for younger kids because it uses only a few simple materials. We found all of our materials from Fiskars, and you can find our post for this project on their site here! 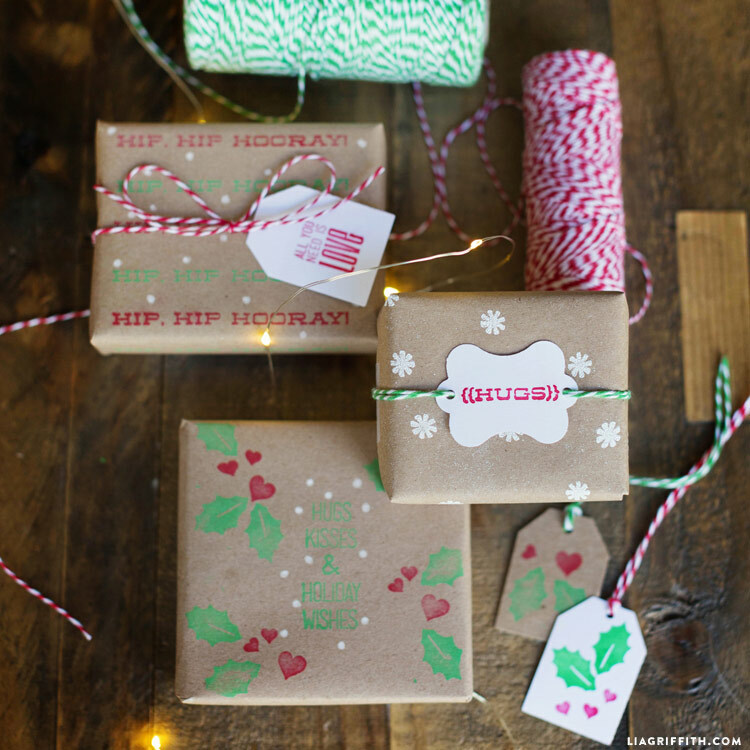 To create customized kid’s wrapping paper, all you need are paper, stamps and ink. We started with a roll of kraft butcher paper, but you could even use regular copy paper for this. If you have young kids cutting the paper, we recommend using some kid’s blunt tip scissors (link in Shop this Project!). Next, pick out your stamps. We used Fiskar’s Hello Fabulous stamp set for something that was festive without being too holiday specific. This set includes the little snowflakes that look so cute on the kraft paper. You should be able to find a great selection of stamps at your local craft store, along with some ink pads. We chose white, green and red inks to match the season, but you can also find some pretty metallic inks that are great for the holidays.